Our proposed retirement village in Havelock North is located on Te Aute Road. Within walking distance from the town centre, this village is in a peaceful setting beside a stream with fantastic views of Te Mata Peak. We’ve been providing retirement living and care options within one village community for over 30 years. 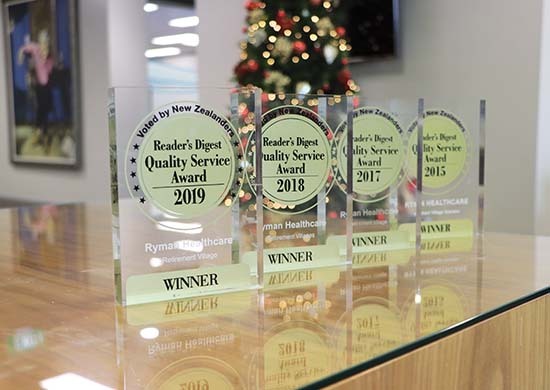 Putting residents first has always been our priority, and our terms, care and innovation are a direct reflection of this. Read more. Thinking about retirement? Let us be your guide. With so many options to consider, we want to make it easier for you to make the right decisions for you and your family. 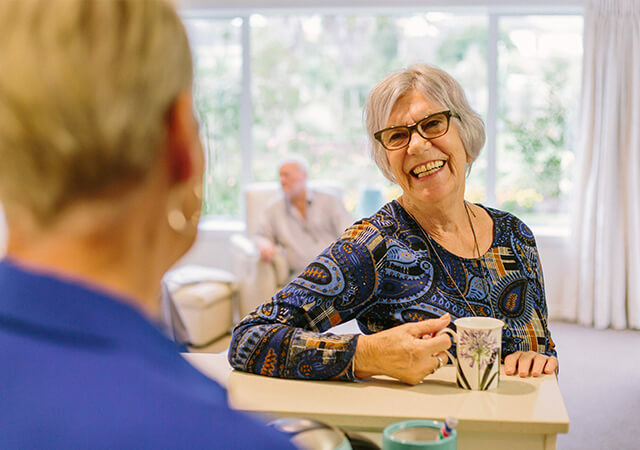 We can guide you step by step through everything you need to know about the living and care options that suit the retirement lifestyle of your choosing. Our villages have an atmosphere of companionship and community spirit. 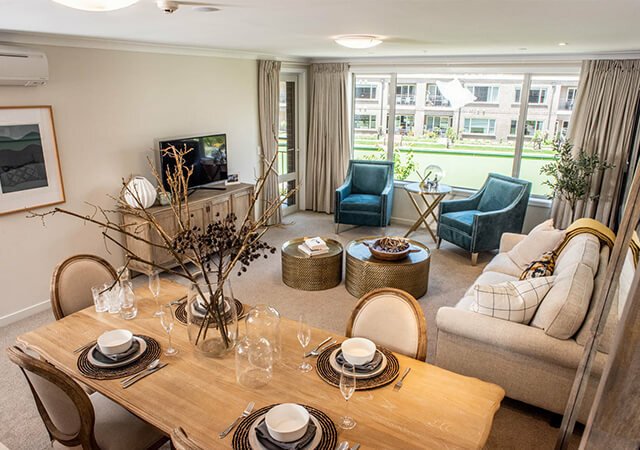 To complement this our village facilities provide the setting and the means to enjoy a lifestyle that promotes overall wellness and connection. 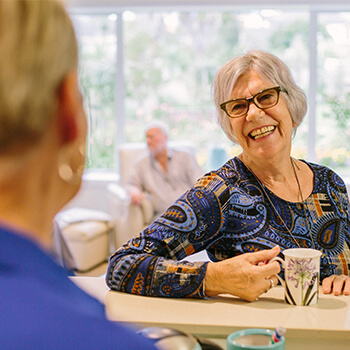 We want our resident experience to be just right – so whatever your passion is, our facilities can satisfy whatever it is that sparks your interest. Bowling green, Dining room, Cafe, Billiards room, Bar, Movie theatre, Workshop, Recreation room, Visitors room. Scooter bay, Swimming pool, Spa pool, Library, Gym, Hair salon, Beauty therapy, Reflection room, Shop.